A landmark national study led by the Australian Institute of Health Innovation at Macquarie University on the standard of healthcare for children in Australia has found children receive care within clinical practice guideline recommendations on average 60 percent (59.8 per cent) of the time for 17 common medical conditions. The CareTrack Kids study published today in the Journal of the American Medical Association evaluated care for 6689 children under 16 years of age using 160,202 clinical indicator assessments, looking at how often care was given in accordance with clinical practice guideline recommendations. There was substantial variation in adherence to guidelines by clinical condition: for example, there was almost 89 per cent adherence on average for the management of autism, 58 per cent in the management of asthma, 54 per cent in the management of fever, and 44 per cent for tonsillitis. In practice, this could mean that rather than complying with guidelines for tonsillitis, fever or upper respiratory tract infection, a clinician may treat a child with antibiotics instead, contrary to recommendations. Reduction in the unwarranted use of antibiotics is strongly supported by public health authorities. Six conditions had estimated adherence to guidelines greater than 70 per cent – four mental health conditions, diabetes and head injury. 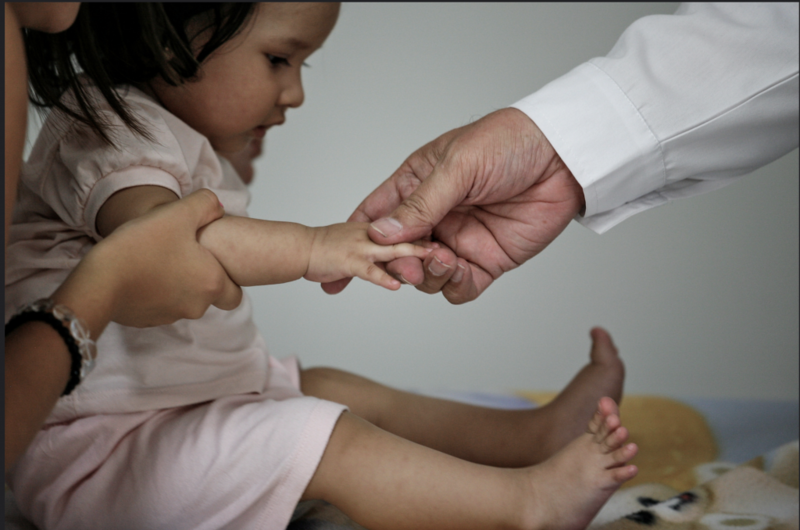 “The rate of high-quality care for Australian children across these very common conditions varies considerably,” said Professor Jeffrey Braithwaite, lead author of CareTrack Kids and Founding Director of the Australian Institute of Health Innovation at Macquarie University. “With the release of these results, we need to reflect on how we can improve the healthcare system. Clinicians want to do their best for all their patients and we need to modify the system to help them achieve this goal. “We also recognise that guidelines should not be followed slavishly all the time. There are always exceptions, including that a family’s preferences matter or that there are clinically relevant reasons for deviations. “We suggest several improvements to the health system, including advancing the design of electronic medical records, to give clinicians ready access to real-time information. We also need to collect patient data in a structured way when the child is being treated in order to support the clinician’s decision making and provide better information to their carers. “There are always challenges. These results are as good as elsewhere in the world, but Australia can do even better. “This study highlights which conditions need most attention and will drive concerted efforts to improve patient care,” concluded Professor Braithwaite. The study, the largest of its kind ever conducted, involved 139 healthcare provider sites: 85 GP clinics, 20 specialist practices and 34 hospitals across New South Wales, Queensland and South Australia. The study examined care provided to children in 2012 and 2013. The original CareTrack adults study, published in 2012, found Australian adults receive appropriate healthcare in 57 per cent of consultations.